Sharing a fancy birthday cake with Malta government officials at the China and Malta Culture and Media Forum, representatives from the Chinese Embassy in Malta celebrated its 11th anniversary of the China Cultural Center in Malta on Sept 19. “Over 11 years, the Centre has organized a rich variety of cultural programs and activities which greatly enhanced the mutual understanding and friendship between the two countries and peoples”, said Cai Jinbiao, Chinese Ambassador to Malta, at the forum. Jointly organized by the Maltese Ministry for Tourism, the China Cultural Centre in Valletta, China Cultural Media Group, and the Let's Go Malta Group at the Excelsior Hotel, the forum attracted almost 100 delegates. 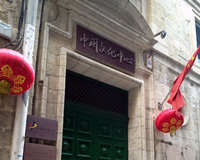 Established in 2001, as one the earliest groups of culture centers initiated by the Chinese Ministry of Culture, with the aim of introducing Chinese culture overseas, China Cultural Center in Malta has unceasingly organized performances, exhibitions, lectures, seminars, film shows and other various cultural events. It also conducted high-quality art training and Chinese language teaching courses, and provided considerable information services to the local public. Happy Chinese New Year in Valletta, World Taiji Day in Malta, the Summer Chinese Film Festival in Santa Lucia and Reading Month at the China Cultural Center have become popular annual events in Malta. 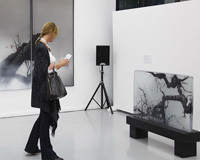 To increase the Maltese people’s interest and understanding of Chinese culture, the China Cultural Centre’s partners, outstanding Chinese – such as students and talented artists - have been sent to China from Malta for free visits every year through three projects, namely, “CCC Partners’ Visit”, “Award Tour” and “Creation in China”. Gu Hongxing, the director of the center, has initiated and hosted many cultural exchange activities. He was bestowed the title of Honorary Citizen of Valletta by the Valletta Local Council in 2013 and the title of Honorary Citizen of Santa Lucia by the Santa Lucia Local Council early this year. At the forum, on behalf of center, he expressed his sincere thanks to the Ministries in charge of Culture, Education, Tourism, Youth and Sports of Malta, to the local councils, art institutions, press and media and all the friends in different circles from Malta for their care and support rendered to this center in past years. Titled “Across the Golden Bridge – China and Malta Culture and Media Forum”, the meeting provided the counterparts of both countries a unique opportunity to share experiences and seek cooperation in heritage conservation, tourism promotion, film producing and even business introductions. Gu is one of the initiators of the event who started to talk about it early this year and has contributed some liaison work to the forum. Gu also accompanied Liu Chengxuan, president of China Cultural Media Group, on a visit to the center after the forum. China-Malta relations have gone a long way since the establishment of diplomatic relations in 1972. On the cultural front, the two countries last year signed The Executive Plan for Cultural Exchange between 2014 and 2018. The cultural exchanges and cooperation between China and Malta are growing more robust year by year. “This is of vital importance to our bilateral relations. As the Chinese ambassador I wish to express my heartfelt thanks and appreciation to all Maltese ministries, departments and local councils for your ardent support to the work of the Center,” Gu said.